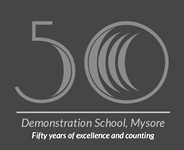 Vivek Memorial has been the Flagship U-18 cricketing event in the Mysore District for the last two decades hosted by DMS, Mysore and partially sponsored by the Indra Bhavan Family. The 2010 version of the event is about to kick off from the third week of november. But there is a small hiccup for the Organizing committee in terms of lack of fund. The difference in amount is around 20,000 INR. Which need not be coming from a single person. Even small contributions are welcome. Interested Alumni can drop a mail to dmsaam@gmail.com. "EAST OR WEST. DMS IS THE BEST"